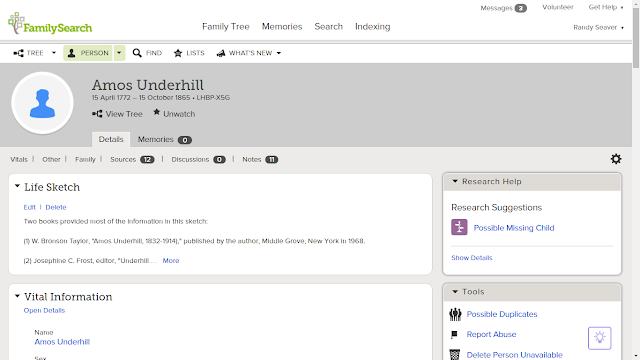 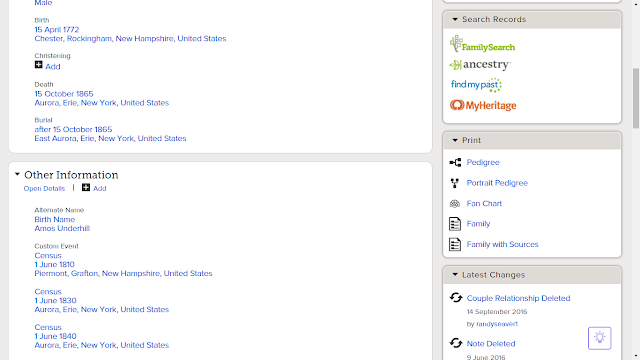 The FamilySearch Blog posted Family History Easy Button: Create New Sources in Family Tree from MyHeritage this morning, then withdrew it, and posted it again this afternoon. This is an excellent feature - when you click on the link to search MyHeritage on a FamilySearch Family Tree profile, there is a link to "Attach source to FamilySearch" for a record on MyHeritage. 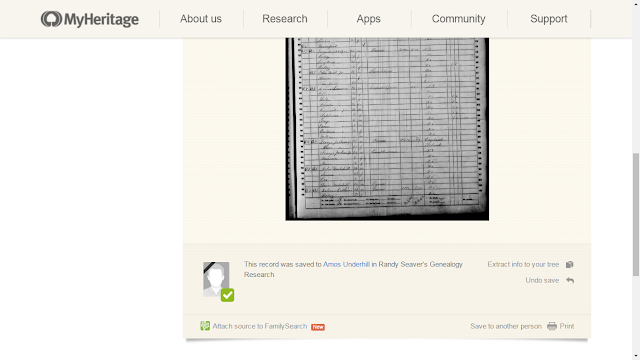 Down at the left-hand side of the bottom of the screen above is the link to "Attach source to FamilySearch." I clicked on that and got a popup message that said the operation was successful. 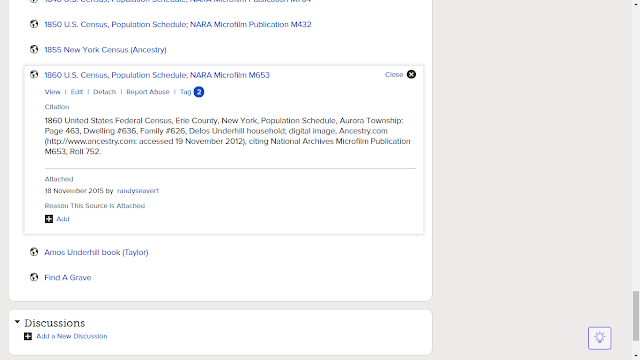 A purist, and most professional genealogists, would say "that's a terrible source citation - where is the town, county, and state, whose household was he in, and what was the NARA roll number?" 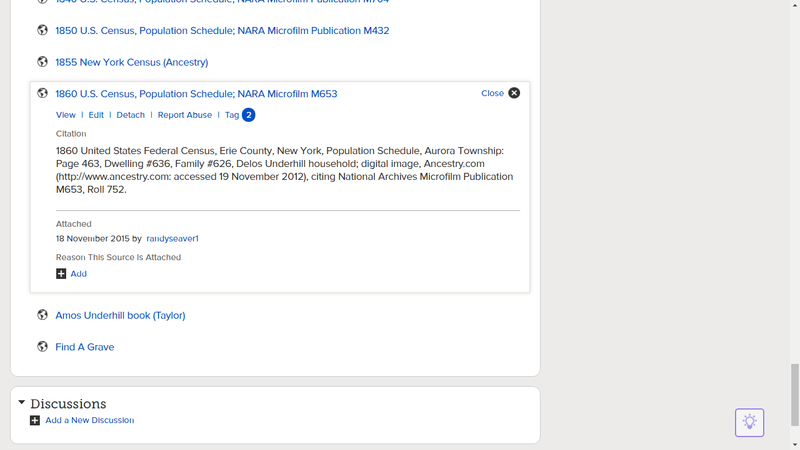 1860 United States Federal Census, Population Schedule, Erie County, New York, Aurora Township: Page 463, Dwelling #636, Family #626, Delos Underhill household; digital image, Ancestry.com (http://www.ancestry.com), citing National Archives Microfilm Publication M653, Roll 752. 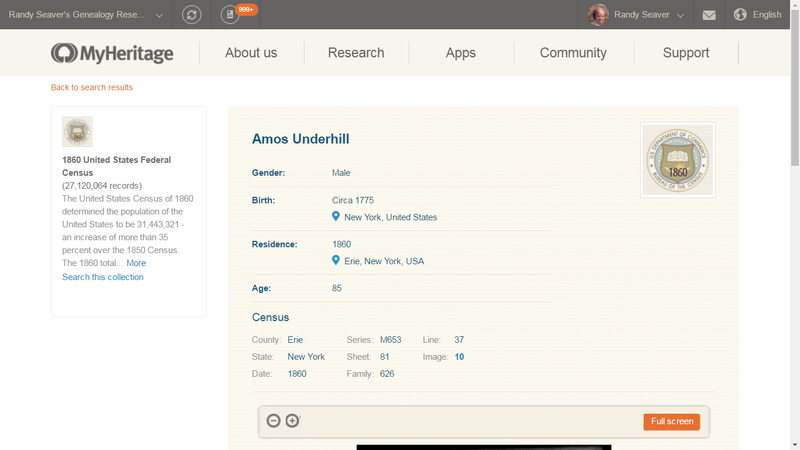 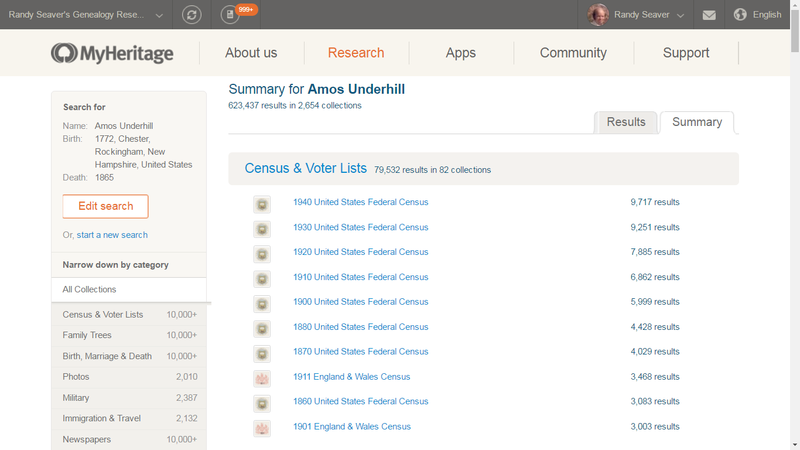 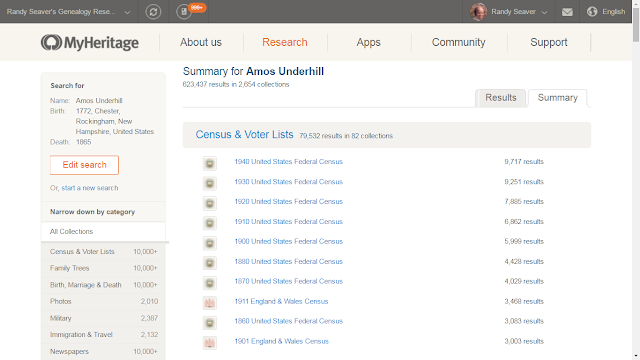 "United States Census, 1860", database with images, FamilySearch (https://familysearch.org/ark:/61903/1:1:MCW2-MM8 : 30 December 2015), Amos Underhill in entry for Delos Underhill, 1860. 6) This is a tremendous feature that FamilySearch and MyHeritage have created - it will help researchers add source citations to FamilySearch Family Tree profiles. 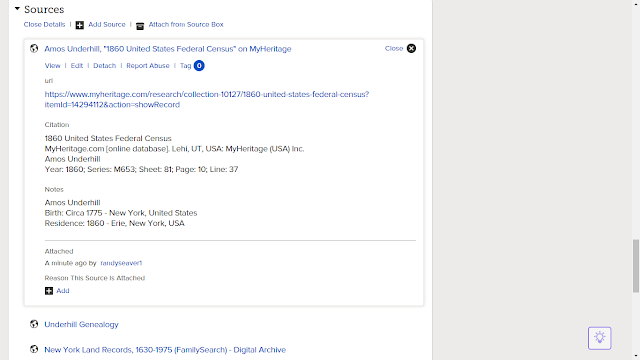 However, the MyHeritage source citations are not Evidence Explained, or even FamilySearch quality, and leave a lot to be desired. 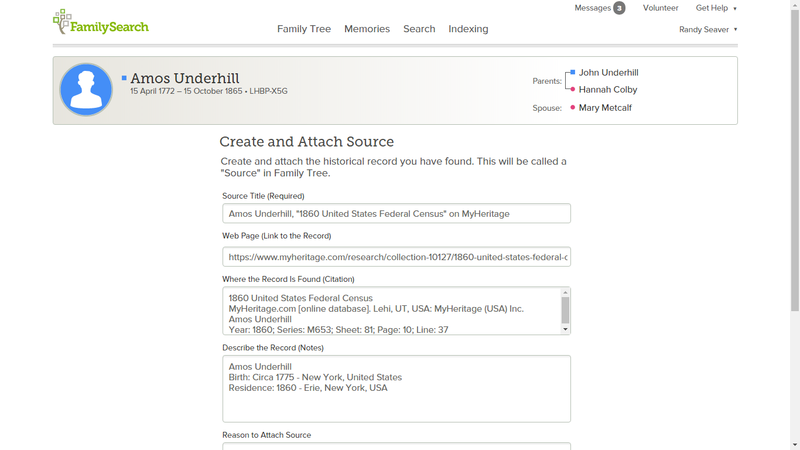 7) My guess is that FamilySearch will work with Ancestry.com, Findmypast.com, AmericanAncestors.org and perhaps other record providers to create a similar link to place on search results for records accessed from FamilySearch. 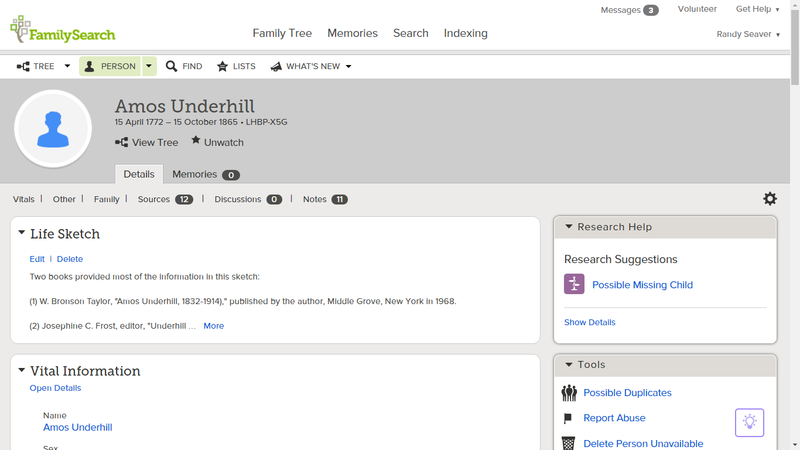 I hope they do. 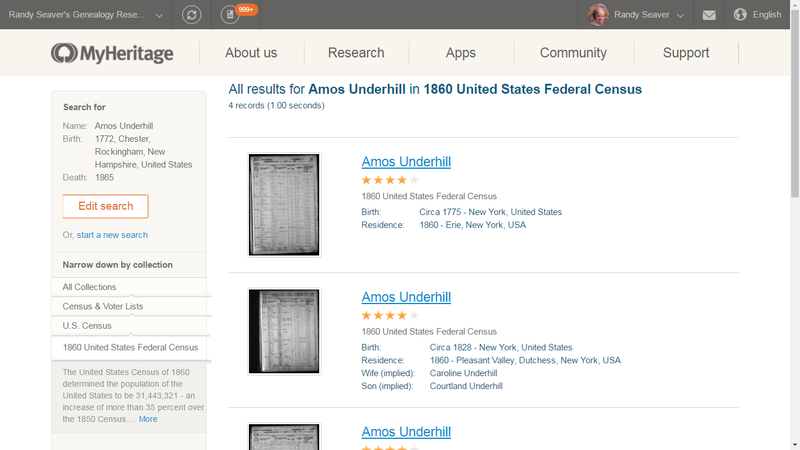 I also hope that FamilySearch tries to standardize the source citations obtained from the search providers, and improves their own source citation.